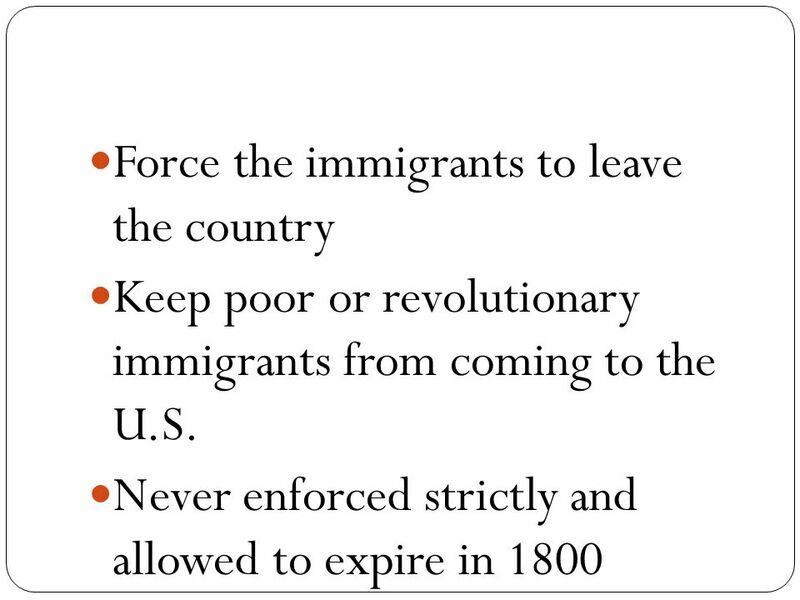 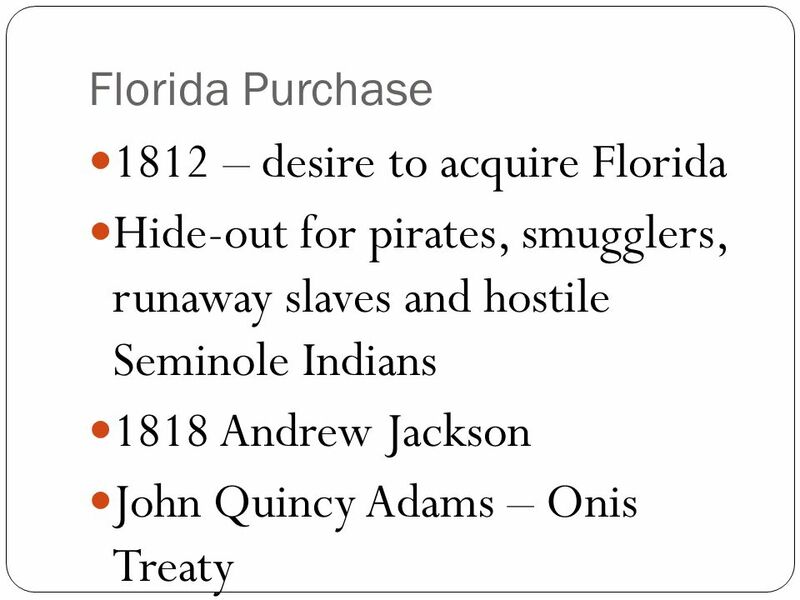 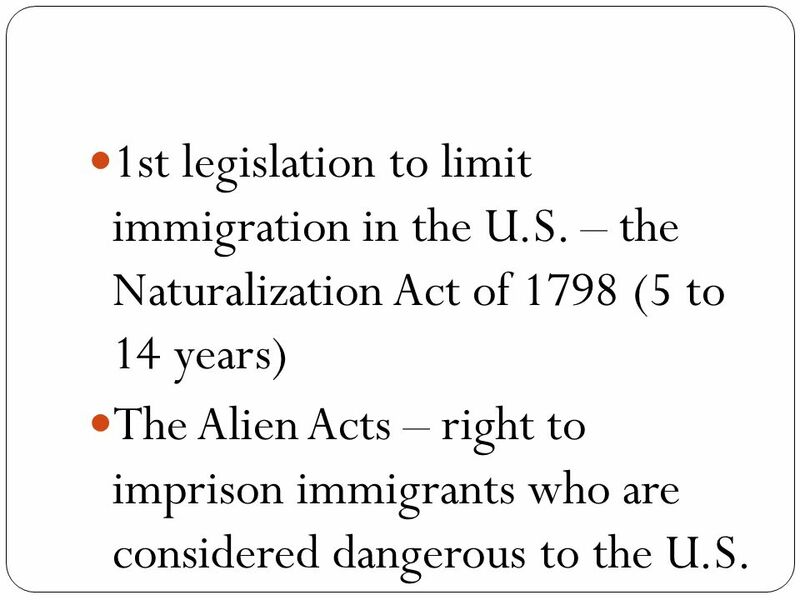 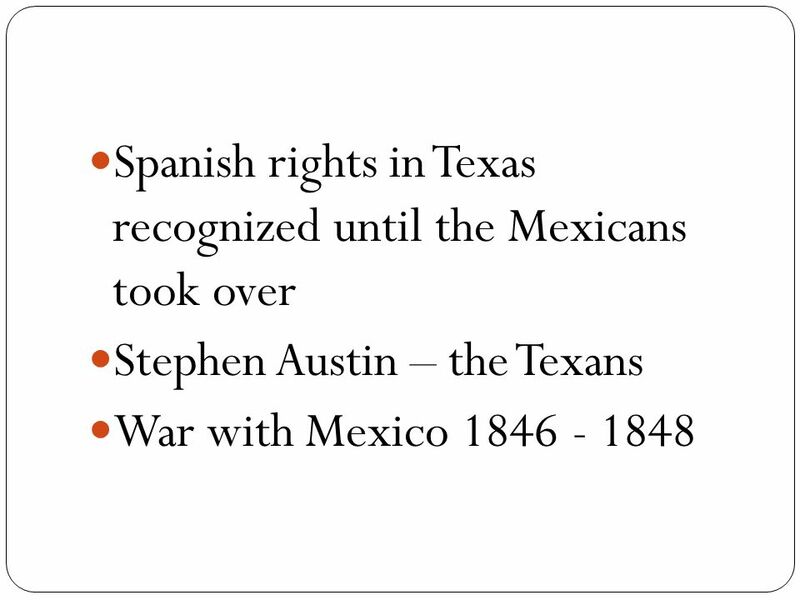 17 1st legislation to limit immigration in the U.S. – the Naturalization Act of 1798 (5 to 14 years) The Alien Acts – right to imprison immigrants who are considered dangerous to the U.S.
29 Deciding factors for Madison: - problems with trade - the British supported some Indian attacks on Americans in the west - desire to add Canada and Florida to the U.S.
Download ppt "The New Nation. 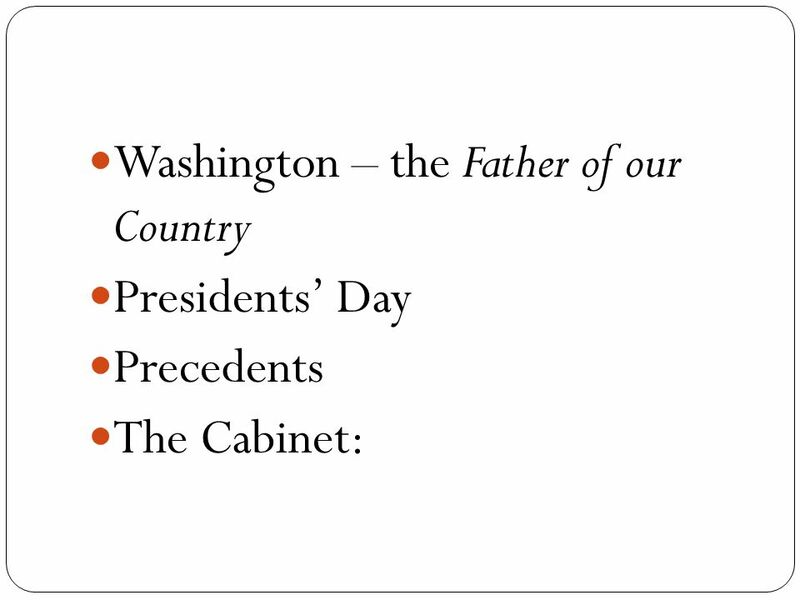 Washington – the Father of our Country Presidents’ Day Precedents The Cabinet:"
War of 1812 Notes on…  Jefferson’s Foreign Policy  Embargo  War of 1812  Era of Good Feelings. 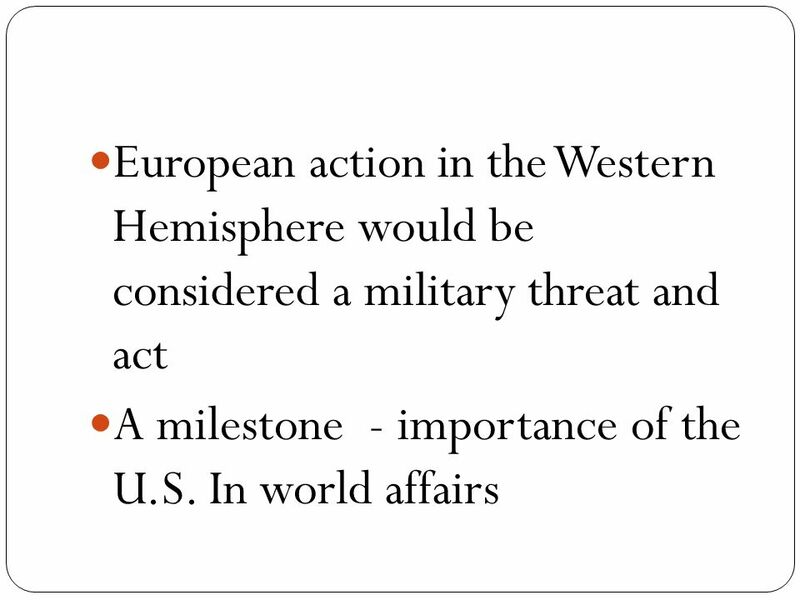 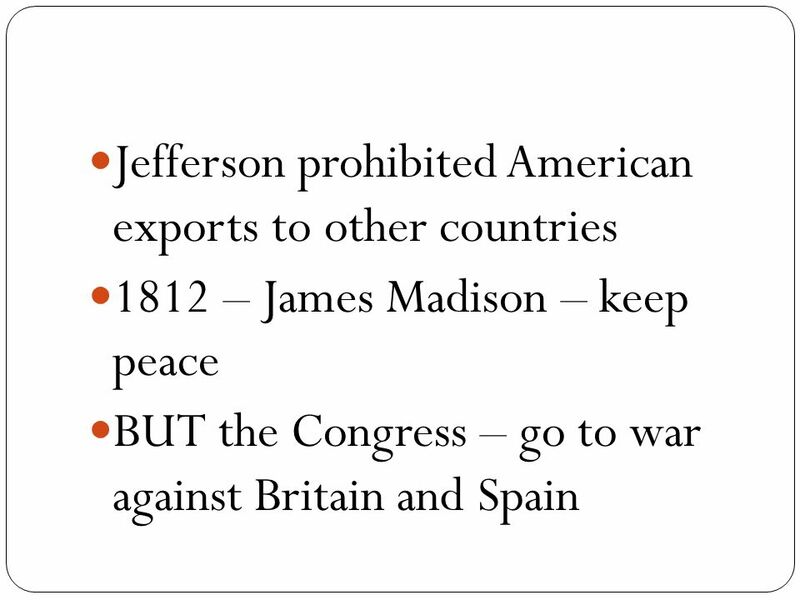 Foreign Policy  From Washington’s presidency up until Thomas Jefferson’s, the US had followed a policy of neutrality in regards Europe Protecting the. 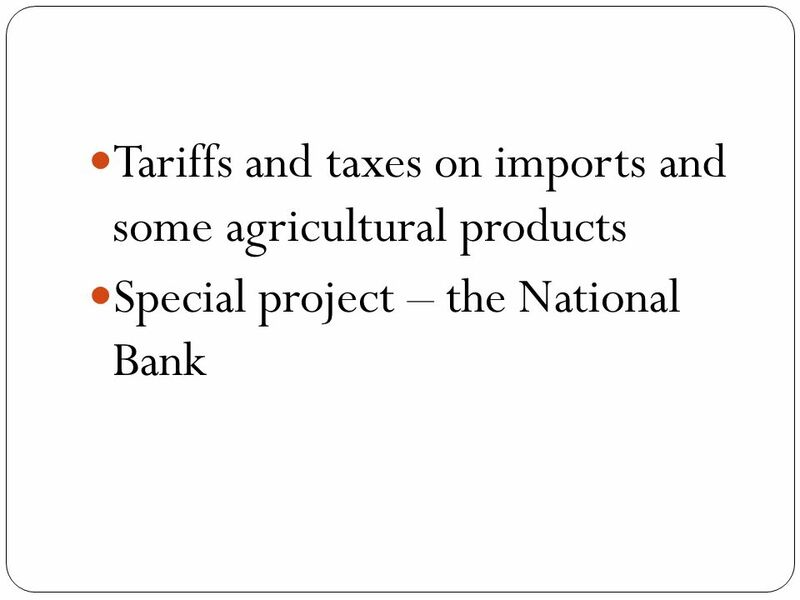 The Early National Period What You Need To Know. 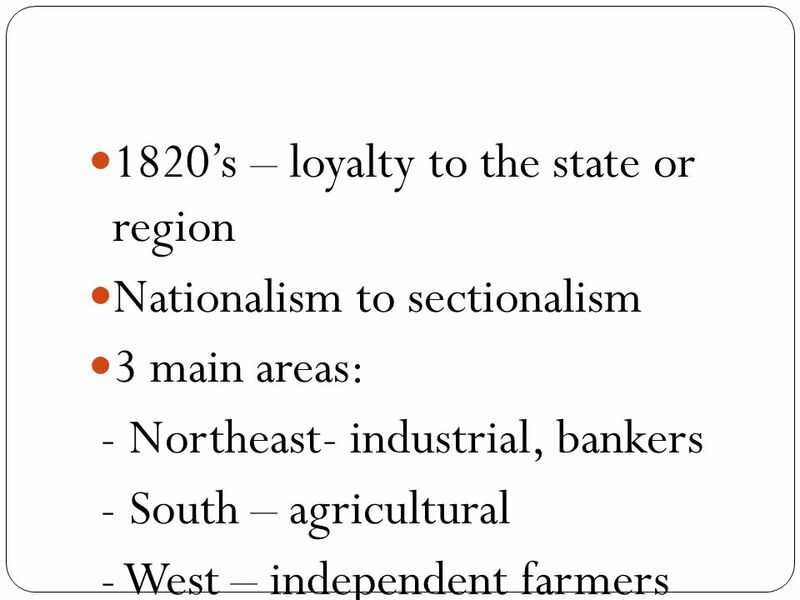 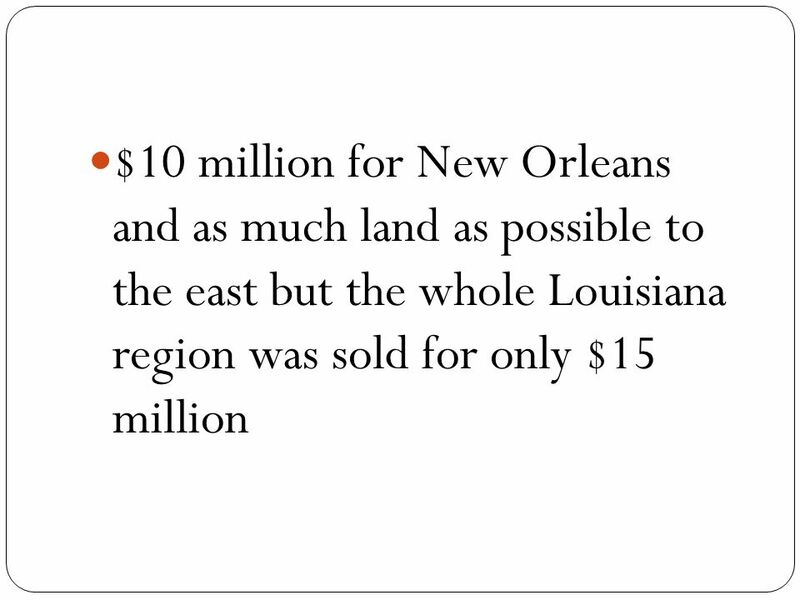 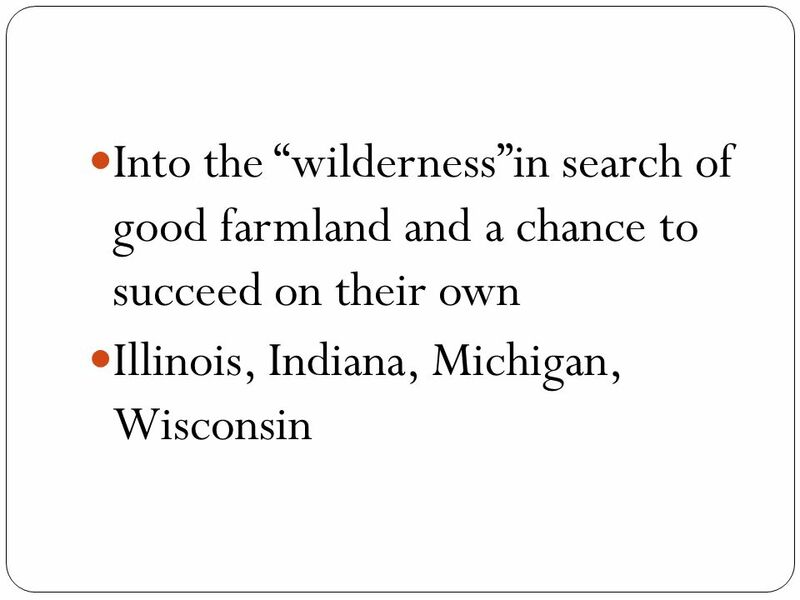 The Early National Period The new American republic prior to the Civil War experienced dramatic territorial. 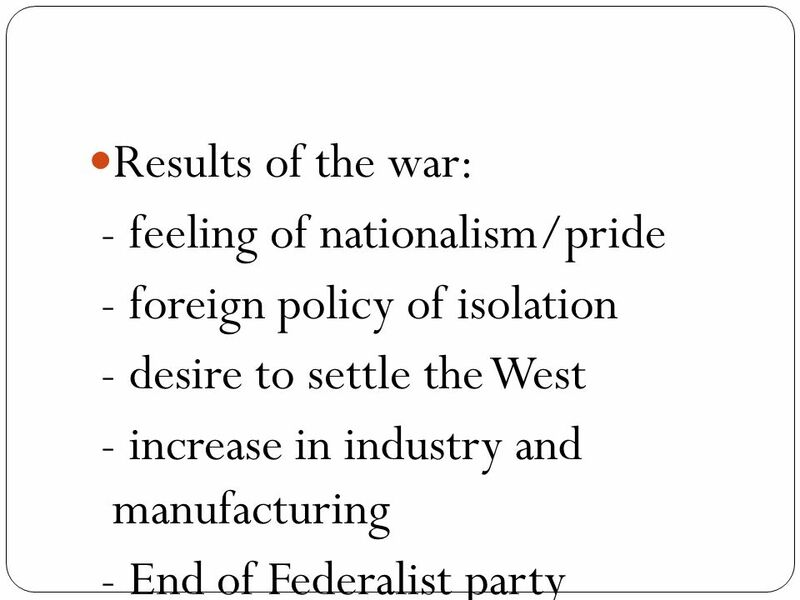 Causes / Battles/ Effects of …. 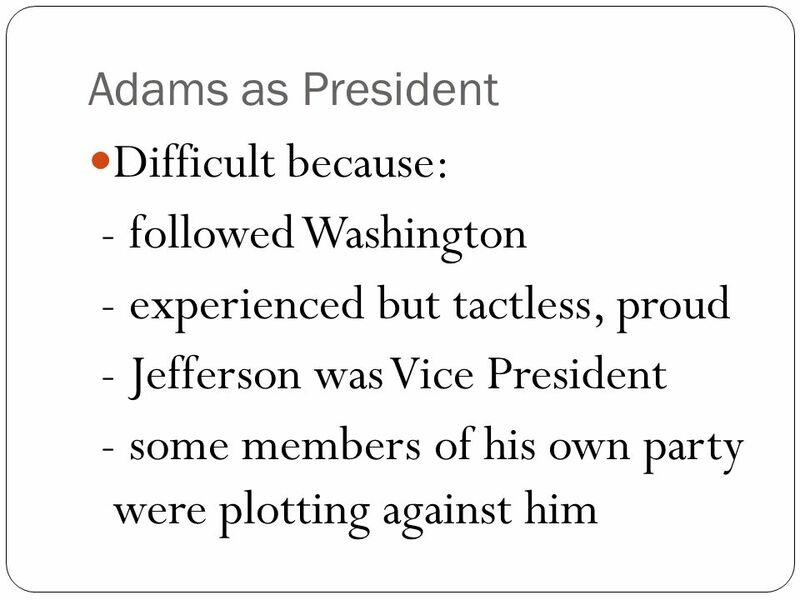 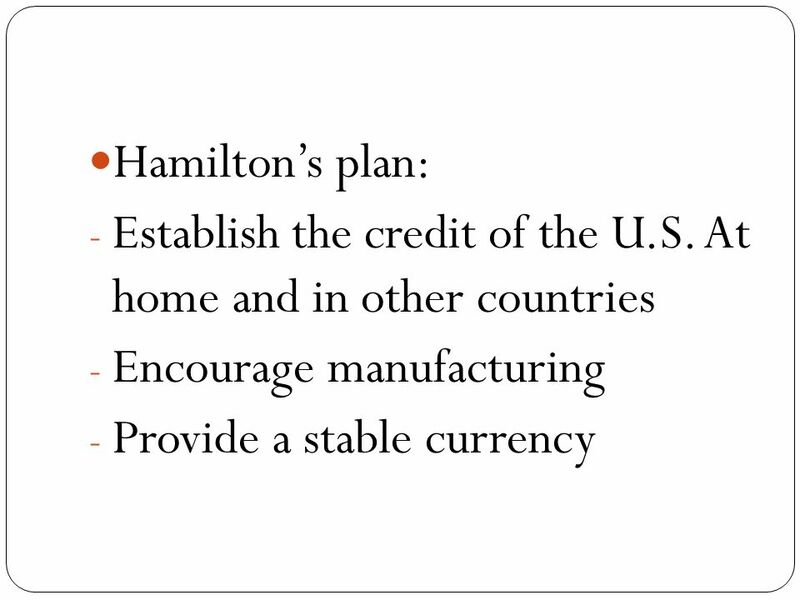 1 st Four Presidents Review Washington Adams Jefferson Madison Development of Government. 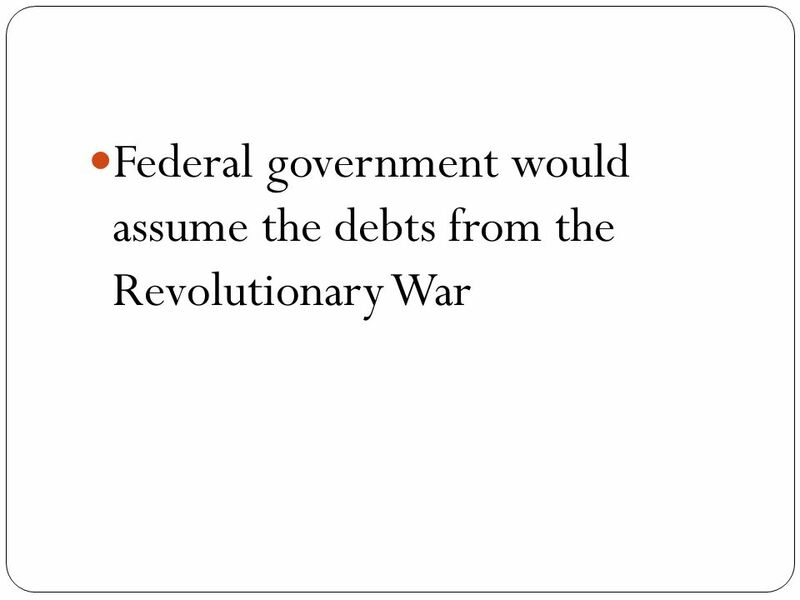 Warm Up  It is 1820, and you are a member of Congress. 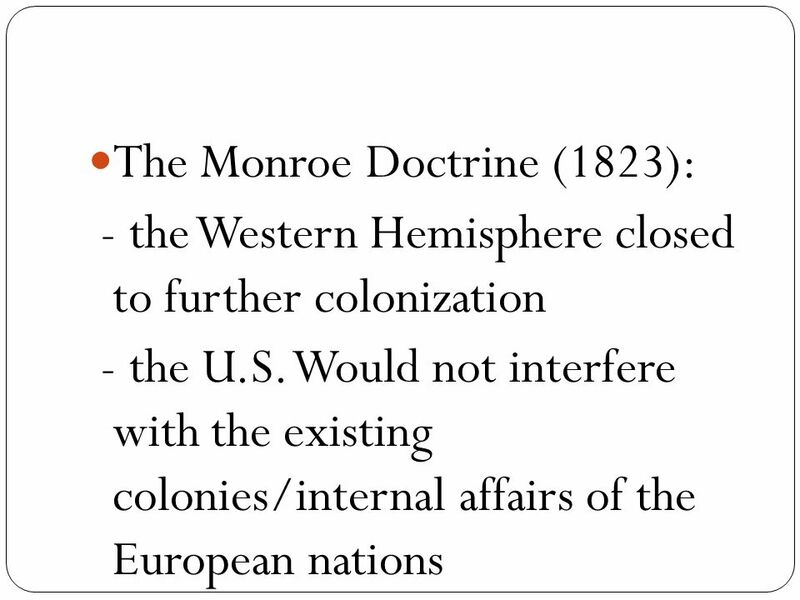 People from the North are arguing that new states in the Western territories should be free states. 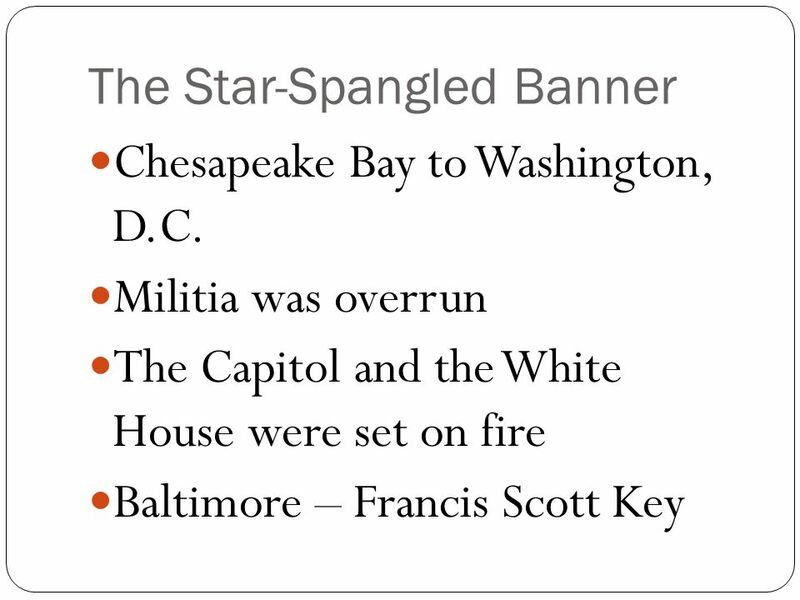 The Early Republic Pre-Class Coach McCage. 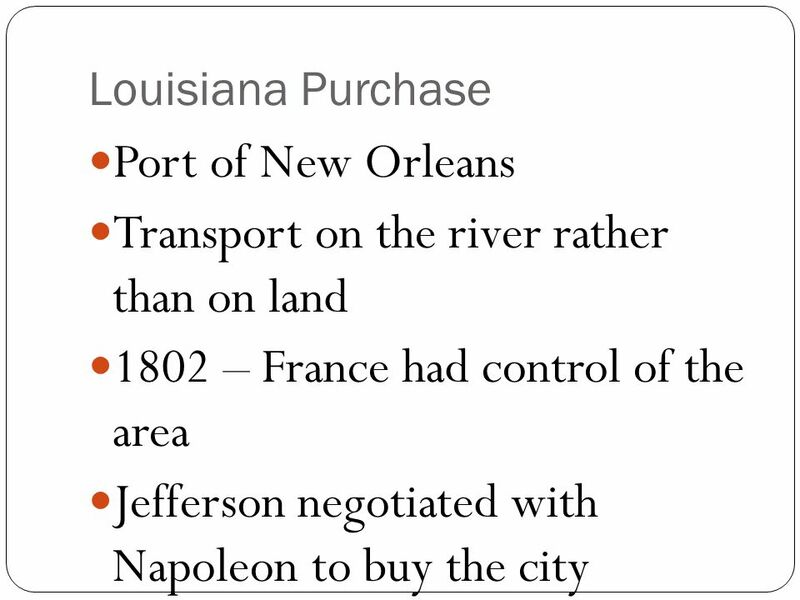 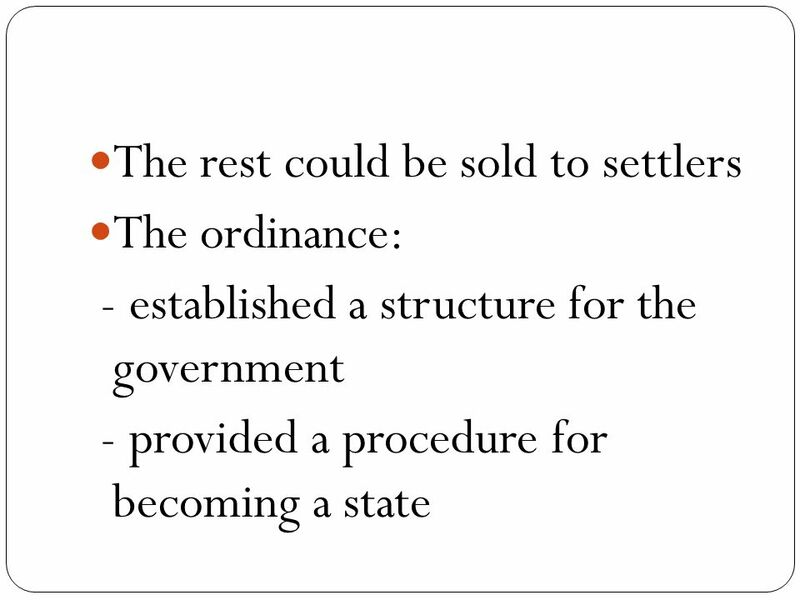 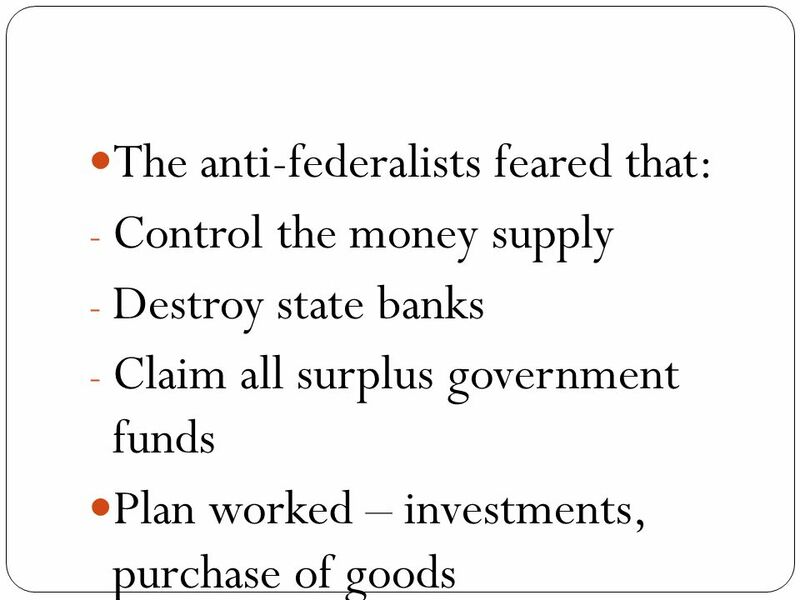 The Early Republic 0 All of the following are defining characteristics of the era of the Early Republic EXCEPT. 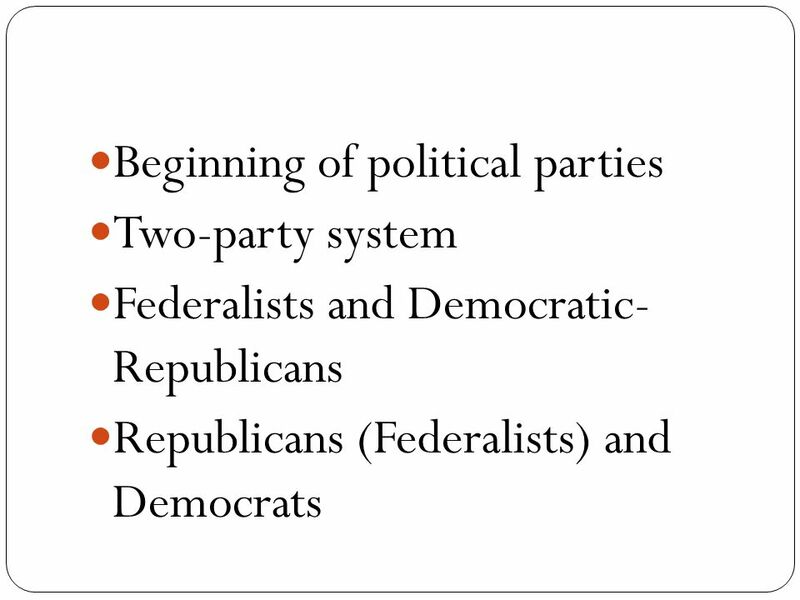 Challenges to the New Republic ( ). 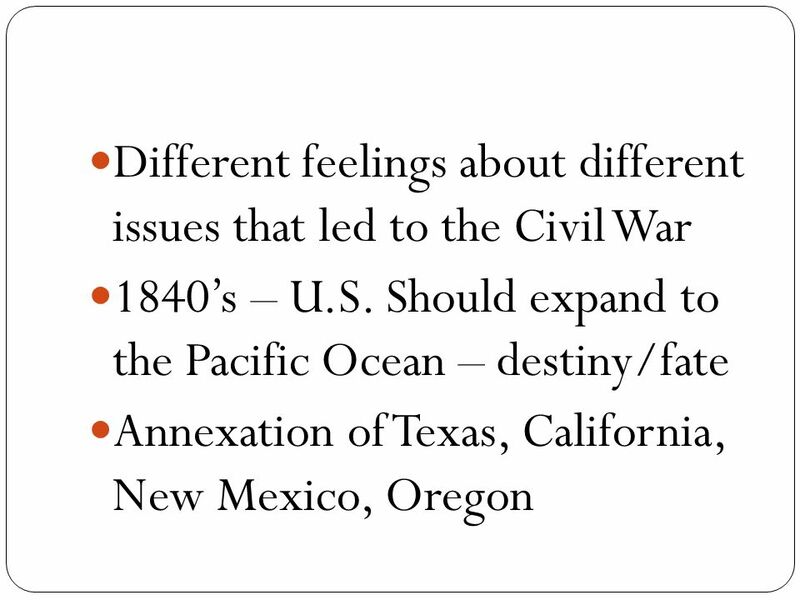 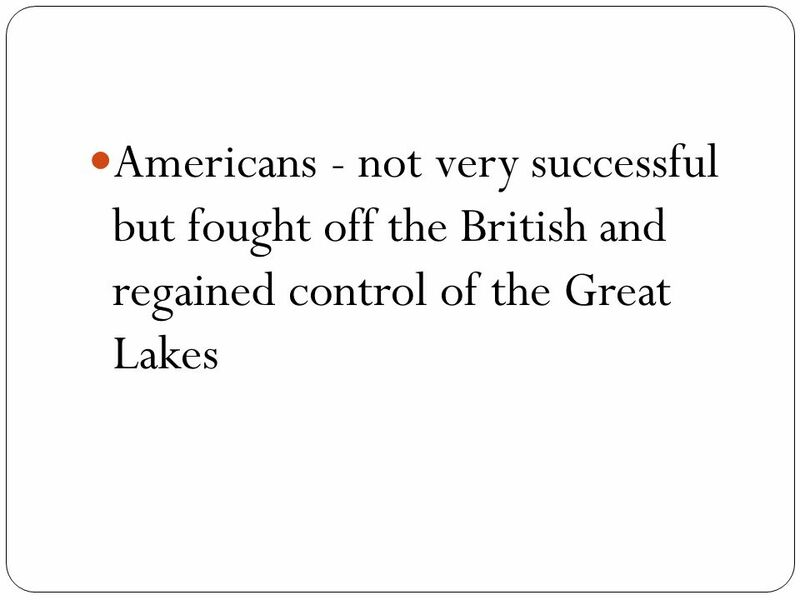  I can analyze and explain the major domestic and foreign crises that faced the United States after the adoption. 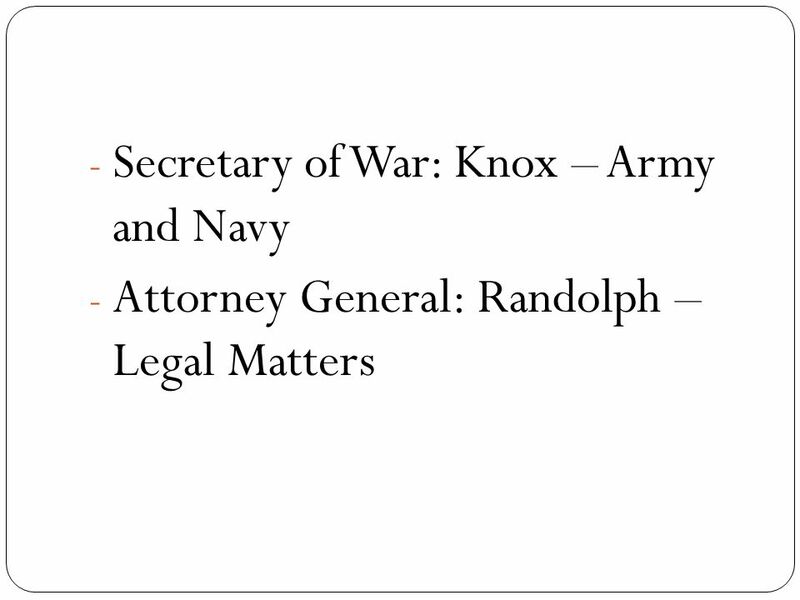 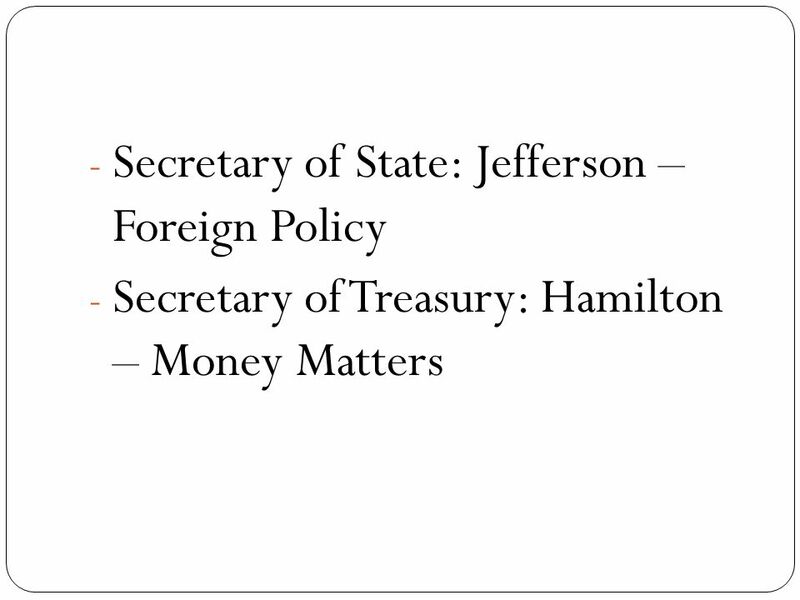 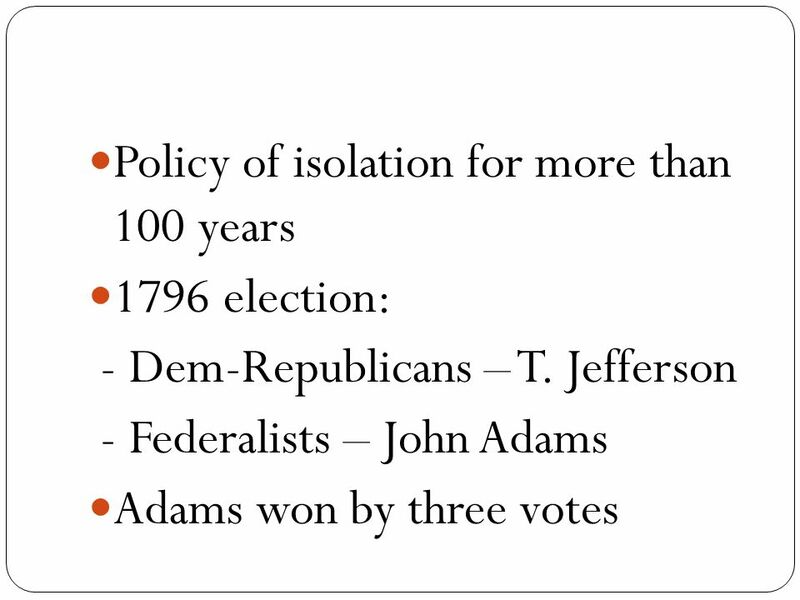 The Presidencies of George Washington, John Adams, Thomas Jefferson and James Madison. 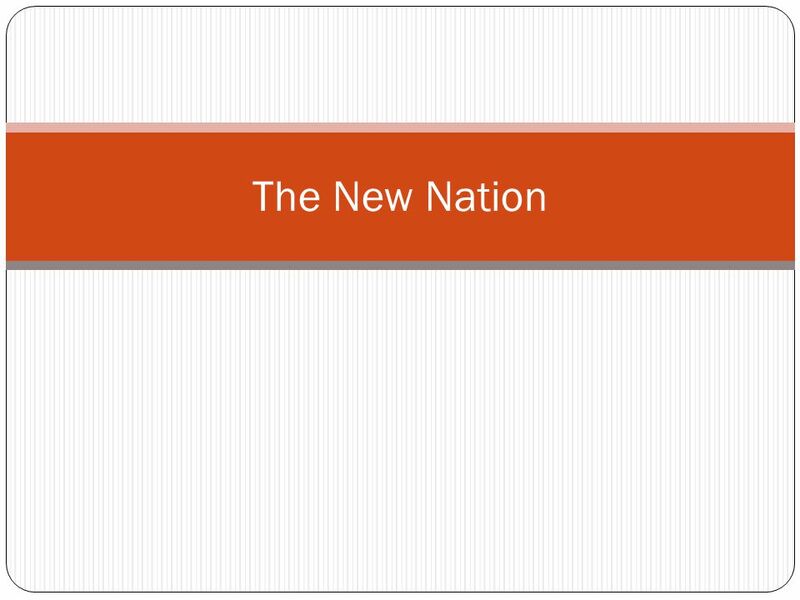 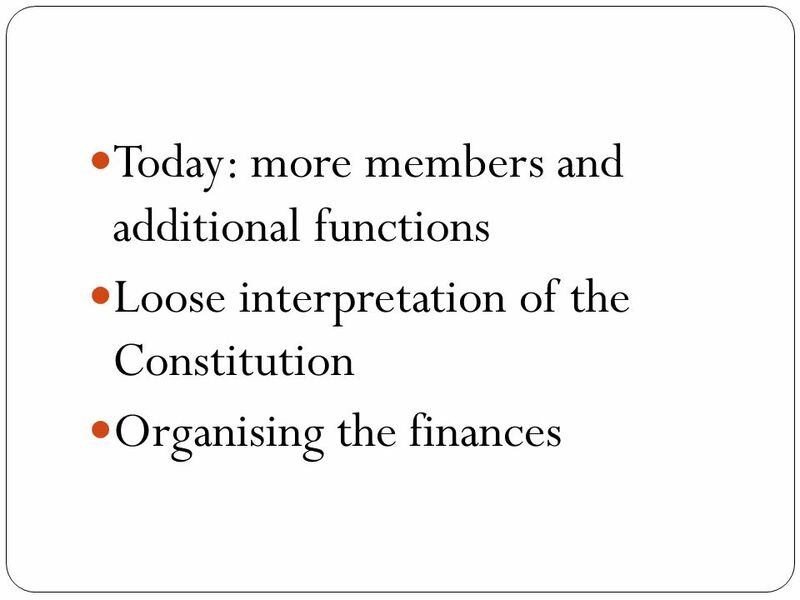 Chapter 9 A National Identity. 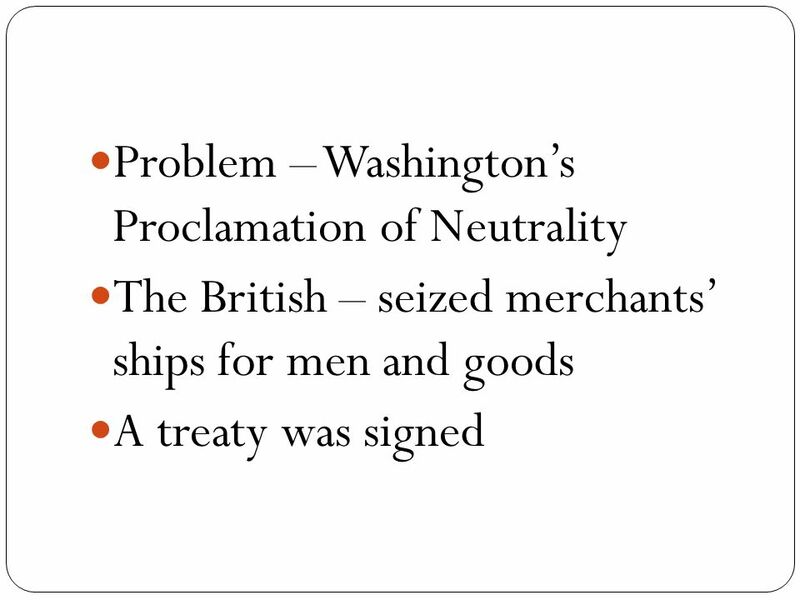 America’s First President George Washington set many precedents while in office Watch the following film clip and identify the precedents set. 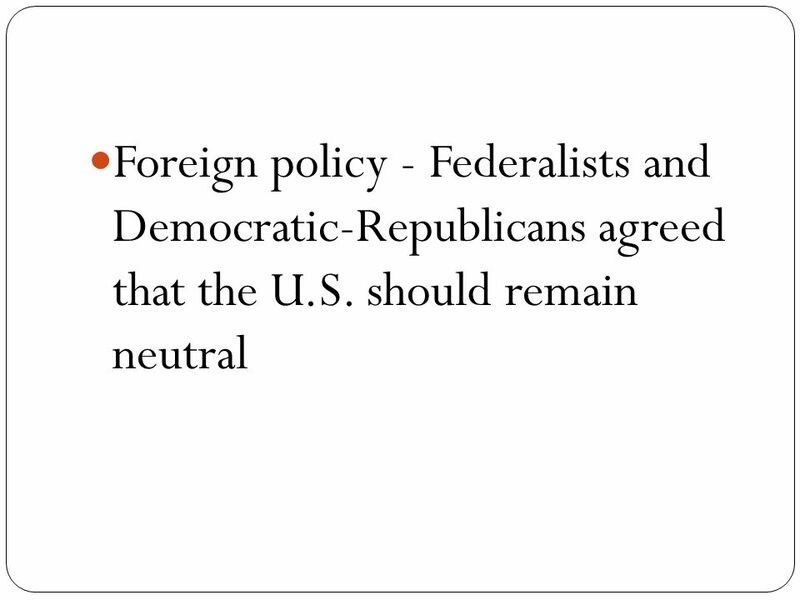 The United States Faces Foreign Problems. 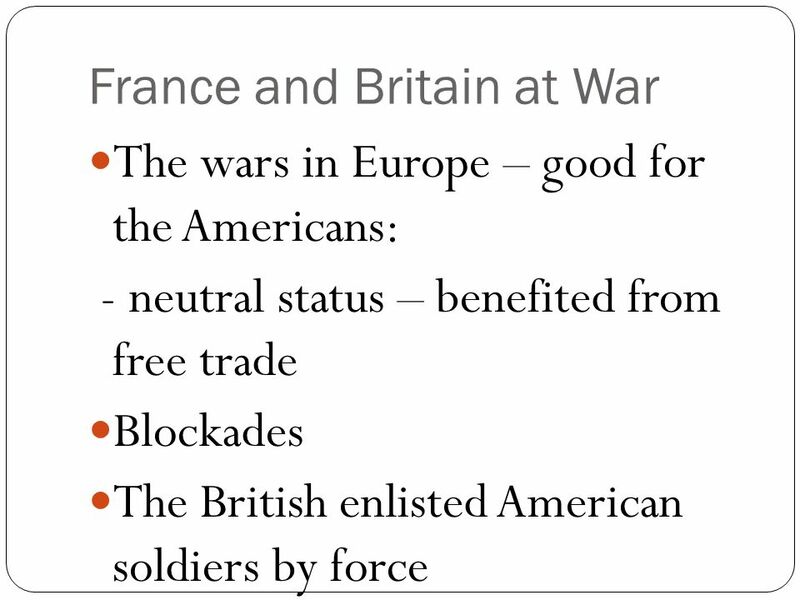 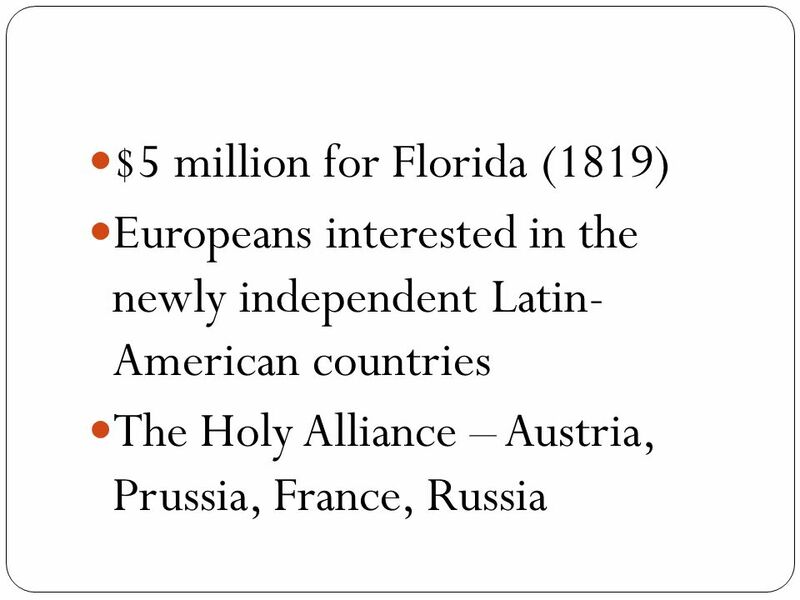 Problems with Europe France went to war with Spain and Great Britain in The US wanted to remain neutral. 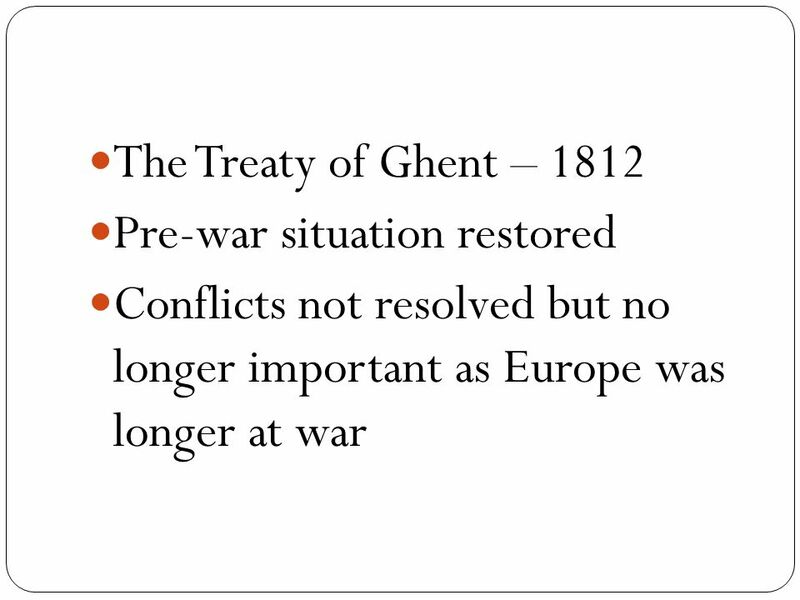 A Time of Conflict. 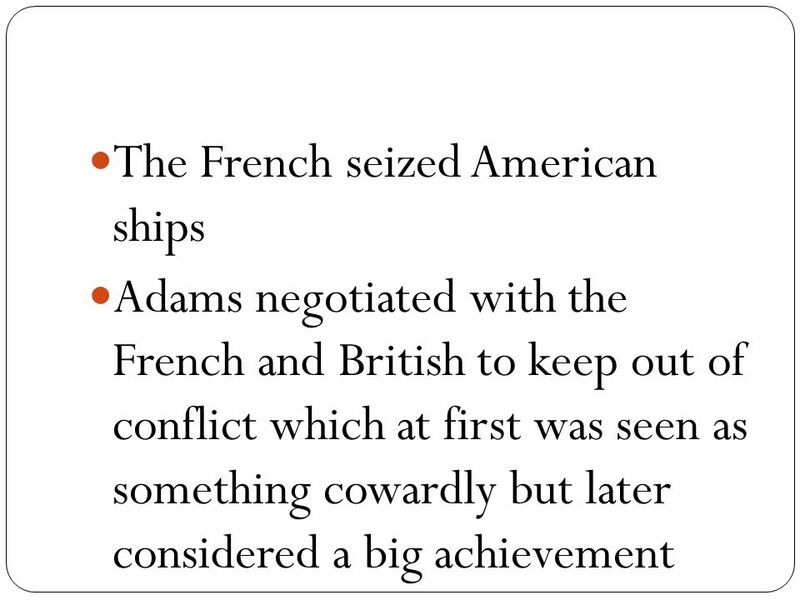 The Barbary Pirates American merchant ships from Philadelphia, New York, and especially New England travelled the world trading for. 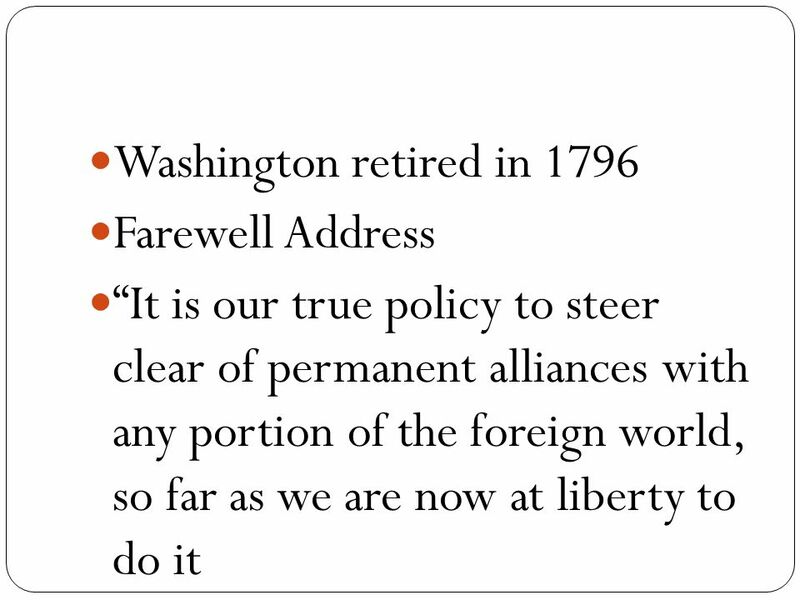 Washington’s Presidency Washington’s Presidency was a time when the Executive Branch set many precedents that defined how the national government under.